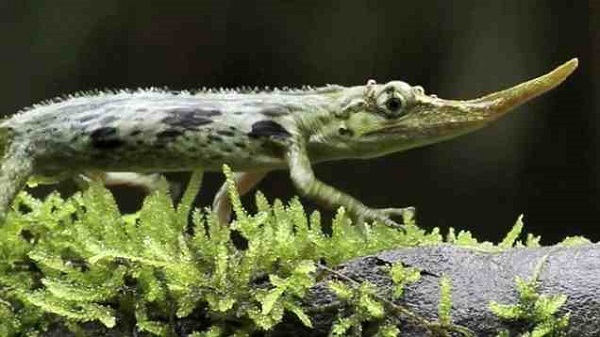 Scientists have identified a rare lizard in the forests of Ecuador, a key feature of which is the big nose reminiscent the one of Pinocchio, children’s fairy tale. 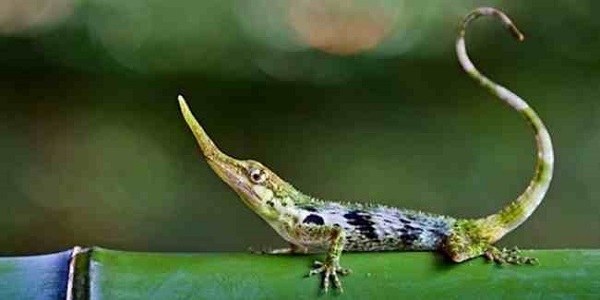 For this nomenclature it is called Pinocchio lizard. 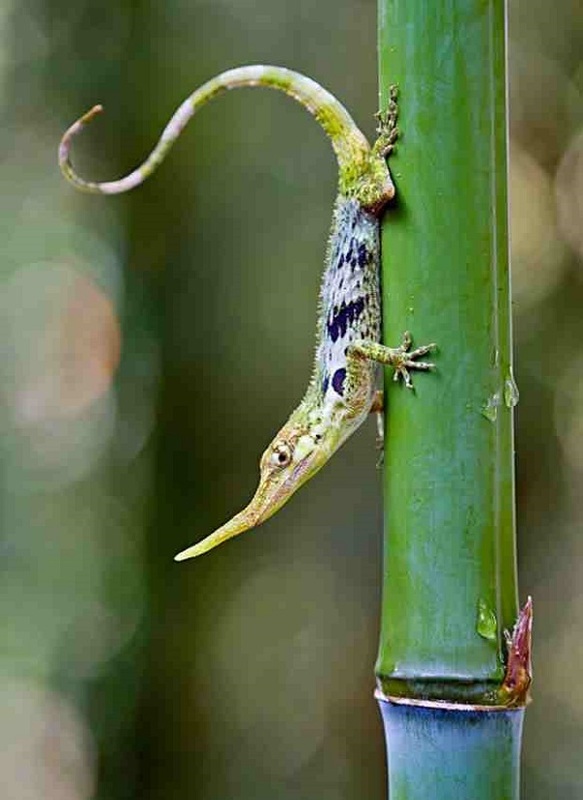 This reptile had disappeared over the last 15 years and just recently the photographer Alejandro Arteaga managed to take a picture of it in the branches of trees. 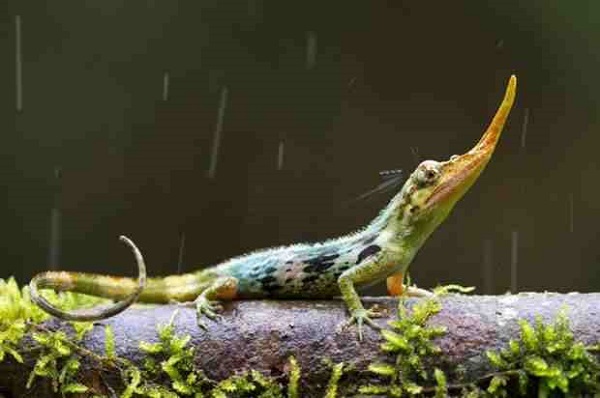 The lizard is scientific called Horned Anole and has a large overhang on the nose, which is found only in the male and it is a flexible proboscis that facilitate spoliation of food. Despite its odd appearance, the serpent is not formally described by scientists until 1953, and until then only six specimens were discovered in their entirety males. The next year was spotted several times near the town of Mindo Ecuador and then sorts seemed to disappear. Until recently, it was found again in the rainforests. For 40 years no one saw it and we thought that the species had disappeared, said Jonathan Losos, herpetologist and evolutionary biologist at Harvard University who has studied the animal.